What can we learn about public relations from the fractious events of 2011? Here are our thoughts on lessons provided by the mistakes and success of others. Jerry Sandusky & Penn State: The biggest PR mistake would be to take on Sandusky as a client. Even as this case wends its ugly course through the criminal justice system and the courts, we know that there are some practitioners just chomping at the bit at the opportunity to sign up this high-profile client. Yes, we know, we’ve heard it all before. “A PR agent is like a defense attorney–every miscreant deserves one.” If you believe that, then you should be barred from PR practice. PR will never maintain professional legitimacy if every alleged social predator and sociopath is able to find a “spin doctor” to plead his or her cause. In PR, as in society, some acts must be indefensible. Anthony Weiner: Where do we even begin with a public figure who has admitted to the arrogant, half-witted behavior of former Congressman Anthony Weiner? We can all be glad that Weiner has graciously retreated from public life–at least for now–to mend his life, and especially his family life. Amen, and all good wishes to him. Perhaps after some amount of reflection and time away from public life, PR specialists will flock to represent what some–at least in New York, say is a really talented guy. Until then, goodbye and good riddance. Netflix: What happens when you do the right thing the wrong way? Faced with an inevitably changing business model, Netflix moved, apparently too aggressively, to spin-off its declining, old-school DVD mail-delivery service from its growing, and increasingly profitable, video downstreaming service. What CEO wouldn’t? Alas, the devil is in the details. Tone-deaf implementation–in the form on a sudden announcement about two different services provided by two different companies–led to a consumer revolt worthy of the reformulated Coke debacle. What should have been good management judgement nearly ruined this once-popular company. Within months its stock value dropped by two-thirds. Ham-handed implementation and almost no regard to the convenience and versatility that loyal customers valued in this company nearly led to its downfall. Can good PR save Netflix? The company has clearly learned some valuable lessons about its customers and how to communicate with them. (For now, they’ve continued their existing business model, emphasizing the more profitable downstreaming in their marketing; income has rebounded.) Bet they’ve gotten a better sense for how to handle inevitable price increases! 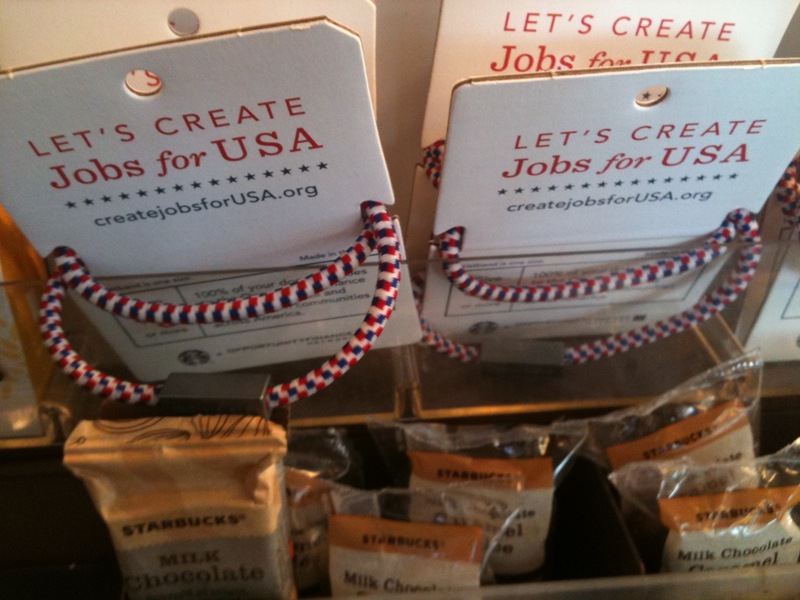 Starbucks: In a year, and possibly an era, when there aren’t a lot of large-scale good-news stories coming out of corporate America, we give Starbucks a rose for its Create Jobs for USA corporate social responsibility program. (We’ll be taking a closer look at this in our next blog.) For us, this program was a game-changer. It changed the quality of the discourse about corporate, political and civic leadership in America during a period that has been particularly bleak, divisive, and some might say de-moralizing. The program’s tackled some tough and touchy subjects today: unemployment, concentration of wealth, corporate mismanagement and executive accountability, civil discourse and public leadership, yet it’s championed a cause we can all believe in. Thanks, Howard! Welcome! This is the inaugural blog for PR Doctor-Chicago. Just a few words to get started. If you arrived here from social media, that’s great–what we’re doing is working. You’re probably aware then that that this site is for review, insight and commentary about the practice of public relations. In this blog, we’ll expound on our thoughts about current and best practices, using thoughtful analysis and historical context, along with equal doses of humor and gravitas. Keep in mind, public relations has never been the exclusive domain of those schooled in its practices. For every Arthur Page and Edward Bernays, there’s been a P.T. Barnum or any of many modern-day Svengalis. We’ll state our professional opinions, and invite yours. We want to hear from you!